RealEyes Bookstore is holding a Grand Re-Opening, 11 a.m.-11 p.m. Friday. The independent bookstore has moved next door to its former space in NoDa. The new location, 3306-B N. Davidson St., offers a lounge and patio area, plus free WiFi and a tea and cafe bar. Friday's celebration features barbecue and wine tasting, plus 25 percent off all books. More information: 704-377-8989 or RealEyes Bookstore. Congratulations Dot and Andrea. You're the winners of my first Reading Life book giveaway. Send me an email with your mailing address, and I'll mail you copies of "Love in Mid Air," Charlottean Kim Wright's debut novel. I've got more great new books to give away. Check back regularly for book news, and for my next contest. People magazine calls Charlottean Kim Wright's debut novel, "Love in Mid Air" (Grand Central Publishing; $23), "astute and engrossing." I've got two copies to give away. Want one? Leave a comment with your name, or some way to identify you -- not just "anonymous." I'll randomly choose two winners and announce the results here on Monday. A friend recently sent me this great list of invented words and definitions, each concocted by changing or adding a single letter in a real word. As far as I can tell, these are past entries from one of the Washington Post's Style Invitational contests. I hope they make you smile. And if you have one of your own, please share. you realize it was your money to start with. 2. Reintarnation: Coming back to life as a hillbilly. little sign of breaking down in the near future. subject financially impotent for an indefinite period. 5.. Giraffiti: Vandalism spray-painted very, very high. person who doesn't get it. only things that are good for you. 12. Glibido: All talk and no action. they come at you rapidly. you've accidentally walked through a spider web. your bedroom at three in the morning and cannot be cast out. 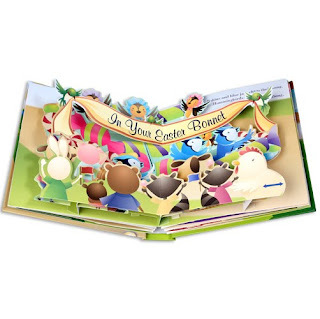 "Easter Parade" (Jumping Jack Press; $14.95), is a new pop-up book co-authored by sisters Andrea Green and Charlotte's Stephanie Prysiazniuk. The square is lined with crowds today. The Easter parade is on its way! But Prysiazniuk, who's corporate sales manager for The Morehead Inn and the Van Landingham Estate, told me that's only part of what she and her sister submitted to their publisher. They also included lots of details about their concept -- an Easter parade featuring animals as characters. Horn-blowing raccoons, egg-juggling chipmunks and ballerina chicks who kick their legs in the air when you pull a tab. These ideas were carried out by an illustrator and paper engineer, but they came from Prysiazniuk and her sister. You can find the book in Barnes & Noble stores and on amazon.com. 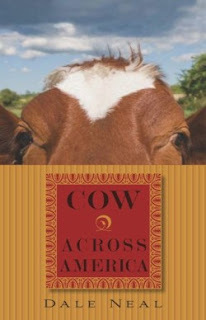 Dale Neal's "Cow Across America," winner of the Charlotte-Mecklenburg library's 2009 Novello Literary Award, has been named a literary fiction finalist for a ForeWord Book of the Year Award. The awards, given by ForeWord Reviews, are designed to help discover great books from the nation's independent publishers. Neal's novel, published in the fall by the library's Novello Festival Press, is the coming-of-age story of Dwight Martin, a North Carolina kid who's estranged from his father and anxious about growing up. It's also a tale about two young men who set out to walk across the country with a cow named Ivy. 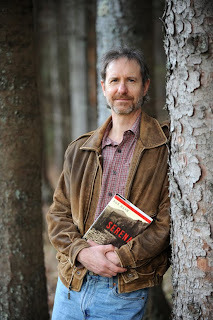 Neal, a reporter for the Asheville-Citizen Times, is one of 15 finalists in the literary fiction category. Winners will be announced in May. In fiction, does it matter if the facts are wrong? A few years ago, I tried to read a popular, well-reviewed novel by a North Carolina author who shall remain anonymous. Not a quarter of the way through, I found myself plowing through a scene set at the house of the protagonist's grandmother. I'm figuring it was August or early September. School was in session, but it was hot. Tomatoes plants were bearing. The main character had set out to mow Grandma's lawn, and she cautioned him to look out for her just-planted peony and tulip bulbs. B. You probably wouldn't plant tulips until fall. C. If you had planted bulbs, they'd be underground, so you couldn't mow them down. As I kept going, I found more errors involving wisteria and pinks. I never finished the book. I thought of that novel recently as I listened to Charlotte author Andrew Hartley speaking to a local book club about his novel, "The Mask of Atreus." As he began talking about it, he confessed that it contained an error. The book is set in Atlanta. Hartley knows the city well -- he lived there for years. But his main character drove to Athens, Ga., on the wrong highway. A minor error, yes. But the fact that he brought it up told me he still felt bad about it. As a reporter, I know that the occasional error is inevitable, even when you're really careful. Hartley told me later that he researches like crazy. But the mistakes usually come when you're writing about something you know about. "What’s maddening about these things," he told me in an e-mail, " is that they are completely inconsequential for the story, often affecting no more than the phrase in which they appear, but they can knock people out of the story, so they are a real concern." That's exactly what happened to me when I discovered the gardening errors. Suddenly, I was thinking about bulb planting times instead of plot. Chatting with Hartley gave me new respect for fiction that transports me to another world. There's a ton of work that goes into making make-believe believable. But even the best writers make errors. Hartley shared a fascinating one: In William Golding's "Lord of the Flies," the character of Piggy wears glasses because he's nearsighted. The allegorical novel centers on a group of British schoolboys stranded on a deserted island. The boys use Piggy's glasses as a magnifying lens to start fires. Here's the problem: The kind of lens used to correct nearsightedness doesn't focus sunlight and wouldn't start a fire. Do mistakes in fiction drive you crazy? Ever encountered errors in well-known novels? Let me know. As I post this item, I freely admit that it's less about literacy and more about a guy trying to sell T-shirts. 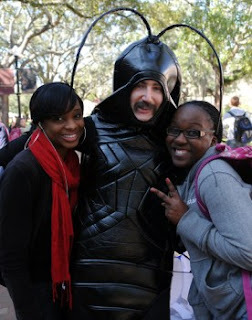 Still, when I get a photo of a guy dressed up as a cockroach, it seems a darned shame not to share it with readers. The deal is this: Kafkacotton, a company that sells literary-themed T-shirts -- is bringing its mascot, Gregor the cockroach, to UNC Charlotte's campus, noon-4 p.m. Tuesday and Wednesday. Gregor, inspired by the main character in Franz Kafka's "The Metamorphosis" plans to pose with students and give away Kafkacotton T-shirts "while raising literacy awareness," according to Kafkacotton's press release. The company donates 5 percent of its proceeds to literacy efforts. Ron Rash's new book of short stories, "Burning Bright" ($22.99; Ecco) is just in stores today, but from all indications, this new collection is already a hit. In Monday's New York Times, book critic Janet Maslin lauds the book, much as she did "Serena," his 2008 novel that Maslin argues "established him as one of the best American novelists of his day." On this subject, I'm with Maslin. Rash, a professor at Cullowhee's Western Carolina (which is lucky to have him, Maslin notes) offers up powerful, heartbreaking stories of people in Appalachia -- people down on their luck, hungry for love, desperate for money. I think about how Daddy worked himself to death before he was sixty and Momma hanging on long enough to be taught that fifty years of working first light to bedtime can't get you enough ahead to afford an operation and a two-week stay in a hospital. I'm pondering where's the fair in that when there's men who do no more than hit a ball good or throw one through a hoop and they live in mansions and could buy themselves a hospital if they was to need one. I think of the big houses built up at Wolf Laurel by doctors and bankers from Charlotte and Raleigh. Second homes, they call them, though some cost a million dollars. You could argue they worked hard for those homes, but no harder than Momma and Daddy worked. Another story, "The Ascent," paints a chilling picture of two meth addicts and their neglected son. That piece has already been chosen for "The Best American Short Stories 2010." Though critically acclaimed, Rash, who grew up in Boiling Springs, is still unknown to many readers who would treasure his books -- if they knew about them. If you don't believe me, ask Janet Maslin. Today's the start of the Charlotte-Mecklenburg library's Teen Tech Week, and that means branches throughout the county are offering free technology classes all week long. Class topics include digital photography, video game design and a discussion of Scott Westerfeld's "Leviathan." More information: visit the library's web site, call 704-416-4670 or email theloft@cmlibrary.org. Novello Festival Press is now taking submissions for its annual Novello Literary Award. They must be postmarked by May 1. The winning author gets a book contract with Novello Festival Press, which includes publication of the work and a $1,000 advance against royalties. The winner will be announced in fall 2010, and the work will be published in fall 2011. Novello Festival Press, a publishing project of the Charlotte-Mecklenburg library, is the nation's only public library-sponsored literary publisher. Details: Novello Festival Press or 704- 416-0706. And here's another contest: The Charlotte Writers Club is soliciting submissions from Carolinas residents for its Deanne Ritch Lomax Poetry Prize. Deadline is March 16. Cash awards of $100, $50 and $25 and up to three honorable mentions will be made May 18. More info at Charlotte Writers Club, or contact Ken Burrows, kcburrow@uncc.edu. Say you're a spring-semester high school senior, just a few months from graduating. What would you say if you had to sum up your life, or your philosophy, in six words? That's the question North Mecklenburg High School English teacher Harriet Regen posed to her senior students recently. Regen got the idea from Smith Magazine, the website that first popularized Six-Word Memoirs. The results offer a neat little window into the minds of smart teenagers. Smile lines will mark my face. I see the glass half full. Asian, American--Which one? Or both? New things, old memories, prefer latter. I wish that I danced more. Nerd gone missing, found doing homework. Dream of college -- let's leave today! I'm not very good at following directions. That, I must confess, was my son. She couldn't wait to leave Ohio. Metabolism was faster in those days. I do love these six-word memoirs. I'd love to hear yours. How would you describe your 18-year-old self? In Tuesday's Observer, I'm writing about Kathryn Stockett's "The Help," a novel that explores relationships between African-American maids and their white employers in 1960s Mississippi. 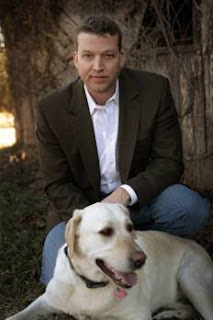 Stockett will speak to a sold-out luncheon at Queens University of Charlotte on March 9. For nearly a year now, her book has remained near the top of bestseller lists. Here's the start of the first chapter. In my story, readers tell me how the book awakened powerful memories. Some African-American readers had family who worked as domestics, or they worked as maids themselves. Some white readers recall the black maids they regarded as members of their family. Did the book trigger your memories? Do you think Stockett, a white woman, succeeded in telling this story? Let me know your thoughts. Katie McCabe, author of "Justice Older Than the Law: The Life of Dovey Johnson Roundtree," will read from her biography of Roundtree, a Charlotte native and pioneering civil rights lawyer, during a program 6-8 p.m. Thursday at the Levine Museum of the New South. Roundtree is pictured (right) with McCabe. At 95, Charlotte native Dovey Roundtree remains a living part of America's civil rights history. The lawyer and minister was among the first black female World War II military officers. She prevailed in a desegregation case that ended "separate but equal" interstate bus travel and won acquittal for a slow-witted black man accused of murdering a mistress of John F. Kennedy. She now lives in a Charlotte nursing home. Along with telling Roundtree's remarkable story, McCabe, a Washington writer, manages in her book (University of Mississippi Press; $30) to create a sense of what it was like to live as a black person in segregated Charlotte and the Jim Crow South. Thursday's program includes a panel discussion of female legal professionals from the region. The event is $5 for museum members, $10 for non-members. To register: 704-375-8624 or register@meckbar.org.